OK, Mecklenburg County, if you haven’t come to a Table Talk Wednesday event yet, you’re really missing out! Our last event was one of our best yet with a full house as we talked about involving fathers in early intervention services. Our facilitators did a great job getting us started – I kid you not, Sabino Nevarez Garcia, Service Coordinator at the CDSA, literally serenaded us! Following that intro, Tracy Ball, Speech Language Pathologist and Director of Operations at Pediatric Theraplay, gave us a friendly warning not to throw dads under the bus since he and Sabino are both fathers. I can’t make this stuff up – you missed out if you weren’t here! 🙂 With all of that laughter on the front end (and applause at the end, by the way), the group moved on to talk about experiences with working with fathers in a variety of ways. Some mentioned fathers who were already the primary caregiver, others talked about families with both parents wanting to be involved in every visit, and still others mentioned working with families and being unsure about how to balance information and support to include fathers more. Here were some of the common themes…..see if you recognize any that keep coming up in other Table Talk Wednesday events! We have to be careful about generalizations. Think about your concept of how fathers are involved in children’s lives. Do you picture someone who is more playful than the mother, or someone who wants the mother to handle everything? Maybe you see a father who is in the mix of it all, or one that’s not there at all. We’ve talked about Your “Stuff” as an Early Interventionist – What’s Your Take? already, and this came up again at our event. We can’t assume that fathers do or do not want to be involved, and we can’t generalize thoughts about how that involvement can look during our in-the-moment interactions with families. One specific scenario involved families from cultures different from our own – while there are things to perhaps keep in mind, it’s still important to be intentional in gathering information that may or may not fit into that particular mold. We need to figure out what fathers want to get out of early intervention supports. This was an interesting theme in the discussion because it touched on so many important concepts. First of all, folks were deliberate in talking about the benefits of having fathers involved in early intervention and how to go about figuring out what they need. Sometimes, fathers may feel as though they’re in the way or that they’re a distraction to the process. You’d be amazed and what happens when we simply invite fathers to participate. There was also talk about scheduling some visits so fathers can be there, and others mentioned asking questions about fathers’ interests and how they would like to interact more with their children. A great example from one person described a father who didn’t quite see the child’s needs in the same perspective as the rest of the team, or the need for the services as a whole. Seeing that he was a sports coach and asking questions to see what he wanted for his child in the future, she was able to relate more to that father and come up with more functional goals they could work on together. And, no, that wasn’t a generalization about dads and sports, but it does lead into…. Parents don’t always share the same point of view. Oh my, this can be tough. Folks talked about feeling like a referee between parents or other family members sometimes, and that struggle can certainly be real! It doesn’t have to be, though, if we set up our intentions and the purpose of addressing the family as a whole. I appreciated everyone’s ideas around how to manage differing perspectives. Here are a few to note, keeping in mind that our goal is never to take sides…. When one parent is worried and the other isn’t, outcomes can be tailored to each parent’s routines and needs. When one parent says that the child can do something, but the other doesn’t agree, we can talk about how a particular skill might be inconsistent or discuss how the parent got the child to do it so the team can build on that information. Sometimes, perspective is tied to how we hear information. Parents don’t always learn the same way, so we need to discuss each parent’s learning style specifically in order to make sure that everyone is getting the same information. This could be related to a new diagnosis, discussing outcomes and strategies, or early intervention philosophy in general. Building relationships is key. Yep, here’s another happy place that we’ve visited many times before, as we should. It’s so important to be deliberate in our efforts to build relationships with families so we can be as supportive as possible. Observing body language and tone of voice are a good start, but even then, we need to be asking more questions to see if what we’re doing is really working. One person talked about a father who didn’t seem very engaged during her visits, and he literally said that it might not seem as though he’s paying attention, but he really is – then he proceeded to show her what he had learned and practiced after their last visit. One person said something that really stood out for me in thinking about relationships – how often do we see fathers highly praised for changing a diaper (or something along those lines)? When working on more than one connection with families, we might want to consider how that generalization or expectation could affect our relationships with mothers…….just a little food for thought….. When I look back over topics we’ve covered, I came across a blog we posted shortly after we launched EI Excellence where John Ellis was looking at this very topic in Is Your Mother Home? Great! How About Your Father? It made me so happy to see that we literally had the same thoughts and ideas around incorporating fathers into early intervention services! Did you notice, though, that this information applies to every family we see, regardless of whether we’re talking to mothers, fathers, grandparents, or any other primary caregiver? 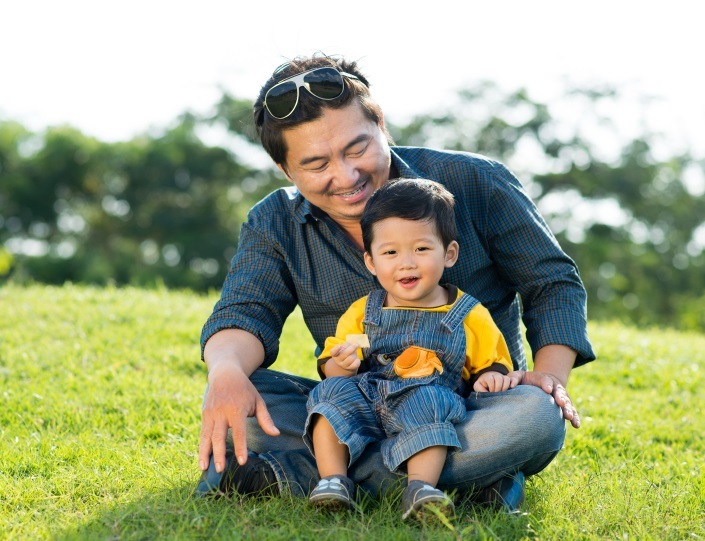 While it might seem as though there are specifics related to incorporating fathers into early intervention services, the bigger picture is that we need to be addressing whomever is in front of us, regardless of who it is. Listening to this conversation, one takeaway for me is that we have to stay in the context of the whole family when going into homes, another being the intentionality we should have in addressing everyone’s perspective individually. If you’re looking for some more formal evidence, check out Why Fathers Matter to Their Children’s Literacy. We’re getting together soon to talk about Which Comes First, Medical Needs or Family Routines? on October 21, 2015 – come see how we’re building relationships locally to become one big team for children and families!